When you’re caring for an aging loved one and taking care of your own responsibilities, life can seem overwhelming. But if you were experiencing symptoms of caregiver burnout, would you even be able to recognize it? Read on for a look at signs of caregiver burnout and how to get a handle on it. While caring for a loved one can be rewarding, it can also be highly stressful. In fact, according to AARP, as many as one in three caregivers report experiencing high stress. If you’re experiencing these symptoms, don’t feel guilty—or despair. These burnout symptoms are common in caregivers, and understandably so. The silver lining? With the right “tools,” you can overcome caregiver burnout. We partner with caregivers to provide quality care for their loved ones and give much-needed help, support, and peace of mind. 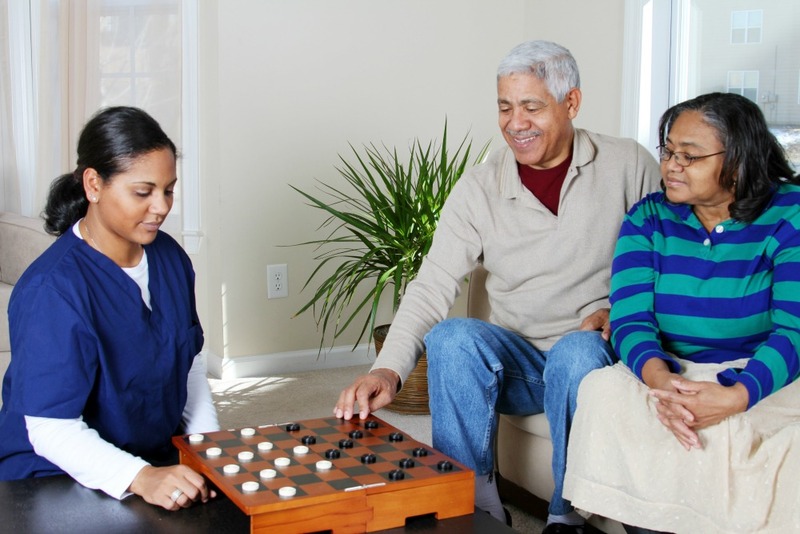 While socialization is important for aging adults, it’s just as important for caregivers, too. Caregiving entails giving a lot of your time to care for another person. This makes it easy for caregivers to ignore their own needs, including their social needs. In fact, roughly half of caregivers report having less time to spend with family and friends, according to AARP. If this challenge sounds all too familiar to you, consider meeting up with friends for dinner or scheduling a fun family night every so often to make sure you get enough quality time in with your other loved ones. When it comes to caregiving, it’s important to share the burden. If you’re the sole caregiver for your aging loved one, perhaps the most important step you can take in handling burnout is establishing a support network of friends and family. For example, call on a family member or close friend to spend a few hours with your loved one while you go to the gym or take a much-need long walk to clear your thoughts and get some fresh air. And if you’re noticing changes in your mood or feelings of anxiety or depression, make it a priority to talk with friends and family about the feelings you’re experiencing. If you don’t see improvement, consider making an appointment with a professional counselor or joining a caregiver support group. Ultimately, the key to overcoming caregiver burnout is addressing your feelings, making time for yourself, and asking for help when you need it. At Senior LIFE, we understand the burdens of caregiving. And we know that you want to be at your best so you can care for your aging loved one as best as you can. We help make that possible. From physician and nursing services to transportation services, we’ve got it covered so that you can avoid burnout and enjoy time spent with your aging loved one. One way of caring for the caregiver is to ask for help. Senior LIFE is here to provide services designed to keep your loved one at home longer—and alleviate the stress on you as a caregiver. Click here to find the location nearest to you.